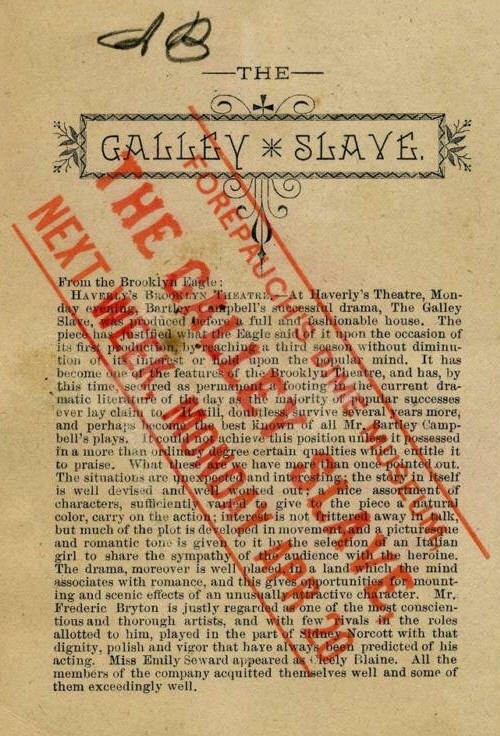 HAVERLY'S BROOKLYN THEATRE, - At Haverly's Theatre, Monday evening, Bartley Campbell's successful drama, The Galley Slave, was produced before a full and fashionable house. The piece has justified what the Eagle said of it upon the occasion of its first production, by reaching a third season without diminution of its interest or hold upon the popular mind. It has become one of the features of the Brooklyn Theatre, and has by this time, secured as permanent a footing in the current dramatic literature of the day as the majority of popular successes ever lay claim to. 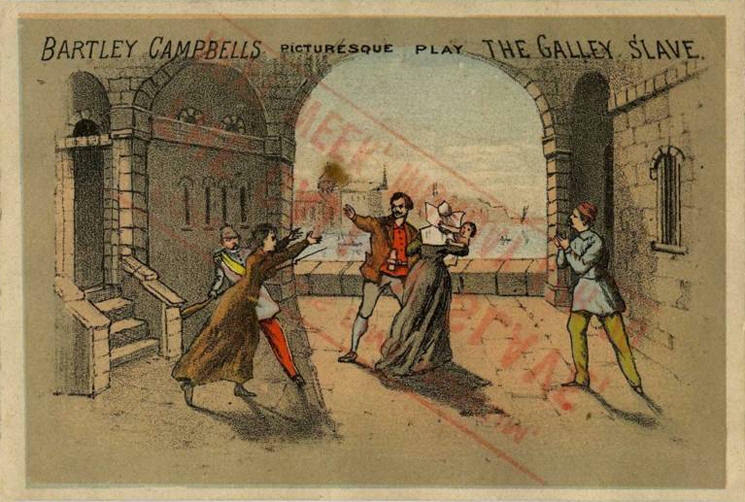 It will, doubtless, survive several years more, and perhaps become the best known of all Mr. Bartley Campbell's plays. It could not achieve this position unless it possessed in a more than ordinary degree certain qualities which entitle it to praises. What these are we have more than once pointed out. The situations are unexpected and interesting; the story in itself is well devised and well worked out; a nice assortment of characters, sufficiently varied to give to the piece a natural color, carry on the action: interest is not frittered away in talk. but much of the plot is developed in movement, and a picturesque and romantic tone is given to it by the selection of an Italian girl to share the sympathy of the audience with the heroine. The drama, moreover is well placed, in a land which the mind associate with romance, and this gives opportunities for mounting and scenic effects of an unusually attractive character. 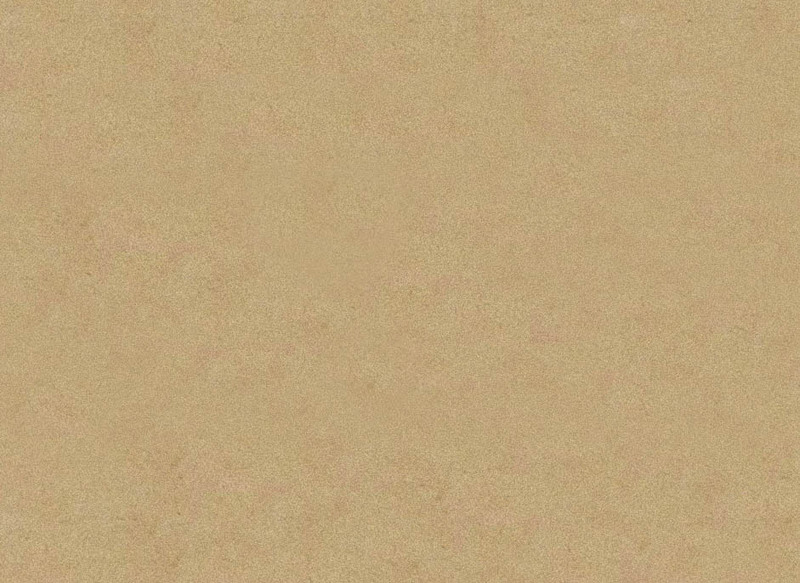 Mr. Frederic Bryton is justly regarded as one of the most conscientious and thorough artists. and with few rivals in the roles allotted to him, played in the part of Sidney Norcott with that dignity, polish and vigor that have always been predicted of his acting. Miss Emily Seward appeared as Cieely Blaine. All the members of the company acquitted themselves well and some of them exceedingly well.